Here is a current warning to always pay your due diligence on what is being imported. Don't get caught up like these Land Rover Defenders that were recently seized. The claims were the vehicles were over 25 years old, however it was found that the VIN numbers had been tampered with. 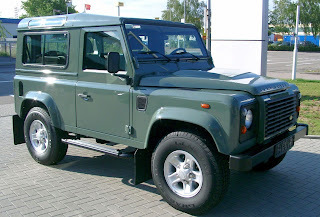 Customs does, and will seize these Land Rovers. If there are more vehicles that have already been imported/exported by the same people, a good chance they will be on the lookout for them and seizing those ones also. Don't be the one holding the hot potato. Always ask for all the documentation, and if something seems to be good to be true, always ask for a second or third opinion. The CTAC combines resources and staff from several government agencies, including NHTSA and EPA, to protect the American public from harm caused by unsafe imported products. For additional information on the CTAC and import safety, please visit CBP.gov/Trade, and click on the “Priority Trade Issues” tab.